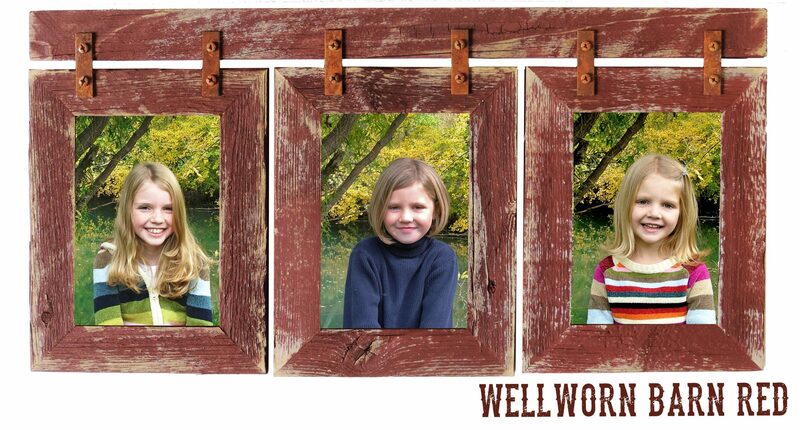 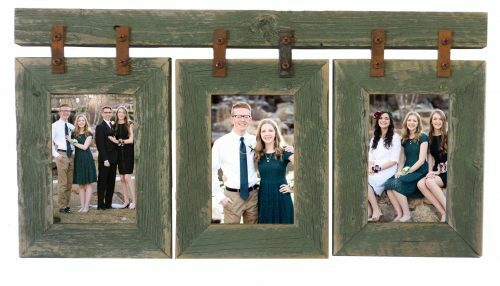 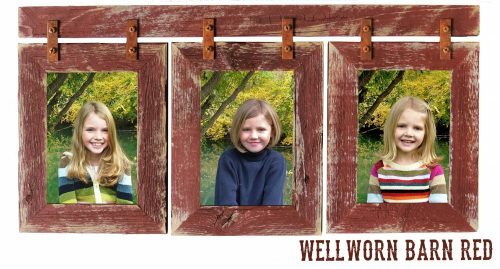 Named for the Conestoga covered wagons of yester-year, this collage frame is made from (3) 4 X 6 — 1.5″ vertically oriented barnwood frames connected to a barnwood header with rusty brackets. 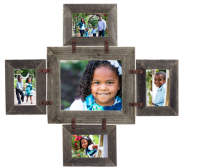 Measures approximately 21″ X 11.5″. 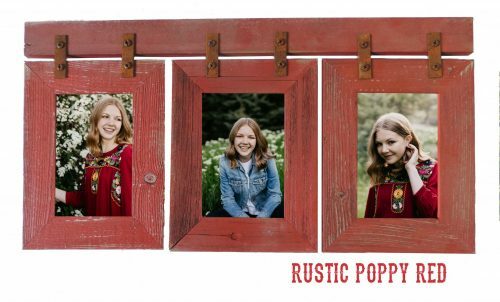 Available in a number of rustic painted colors at no extra charge.